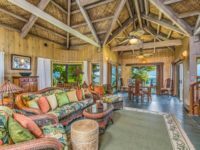 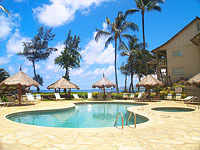 KAPA’A CONDO RENTAL: The Waipouli Beach Resort is a beachfront condo complex located on the East Side of Kauai between Lihue and Kapaa, just 15 minutes from the Lihue airport. 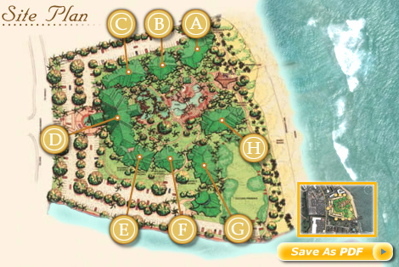 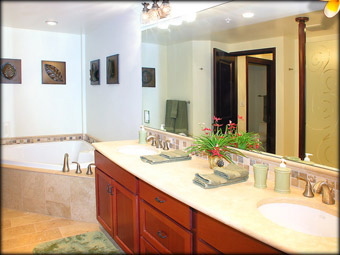 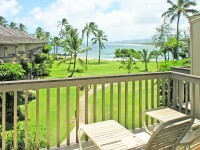 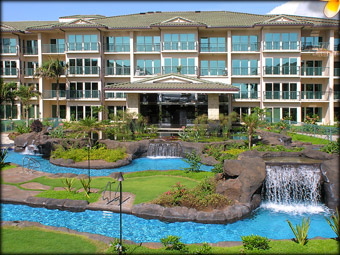 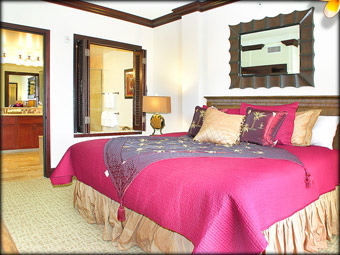 These central air conditioned Waipouli beach condominiums have two bedrooms and three bathrooms. 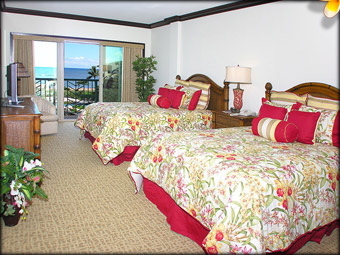 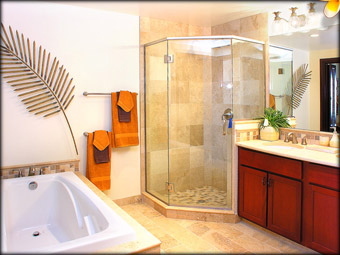 Each unit is tastefully furnished by individual owners with top of the line tropical furnishings, island-style artwork, kitchenware, linens and towels, washer/dryer. 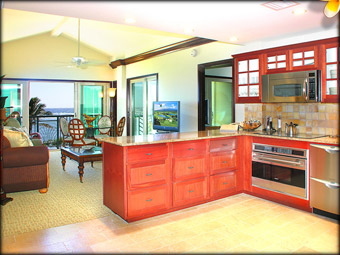 The exquisite gourmet kitchens have state-of-the-art appliances which compels you to stay in and exercise your culinary skills! 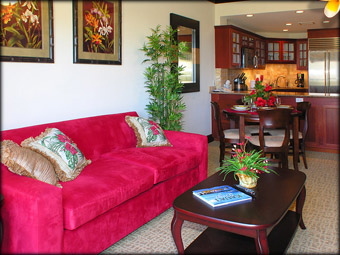 Kauai Shopping Village is right across the street and the Coconut Plantation Marketplace is just up the road, with restaurants and over 60 specialty shops. 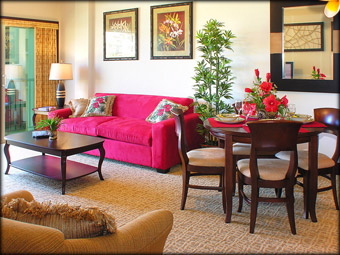 In either shopping areas you’ll find boutiques, fine dining spots, small eateries, authentic Hawaiian shops, jewelry stores, art galleries, healing and wellness centers, grocery stores, and pharmacies. 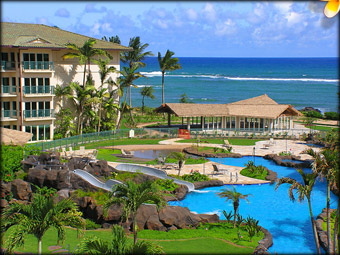 Waipouli Beach Resort has expansive oceanfront grounds that are landscaped with beautiful, lush gardens, waterfall features, twin water slides and pools. 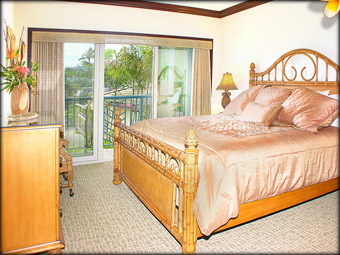 The property has Spa by the Sea and Oasis on the Beach for breakfast, lunch and dinner.